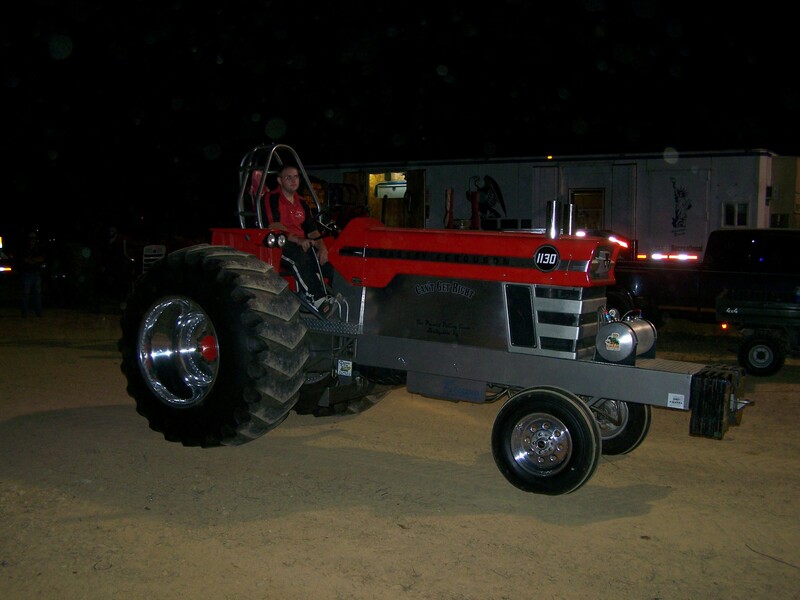 The 2007 year has been a fun year with a few wins in the 6000 LLSS class, and our cousins with there 1066 in the Hot Farm class have a good year. But on July 27th the man that got it all started will be pulling against Jim Mcall for a night of remembering the old days of when they first got started, almost 40 years ago. 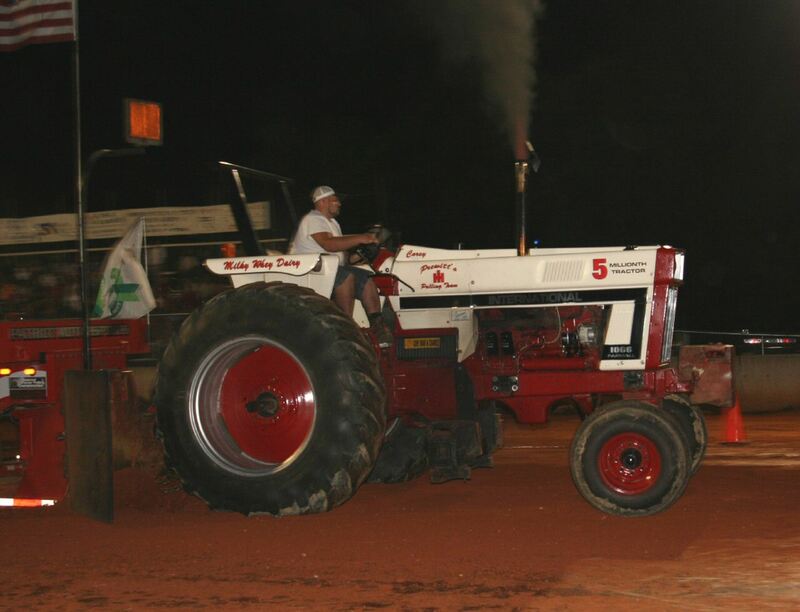 The Pull was rained out but here are some pics. 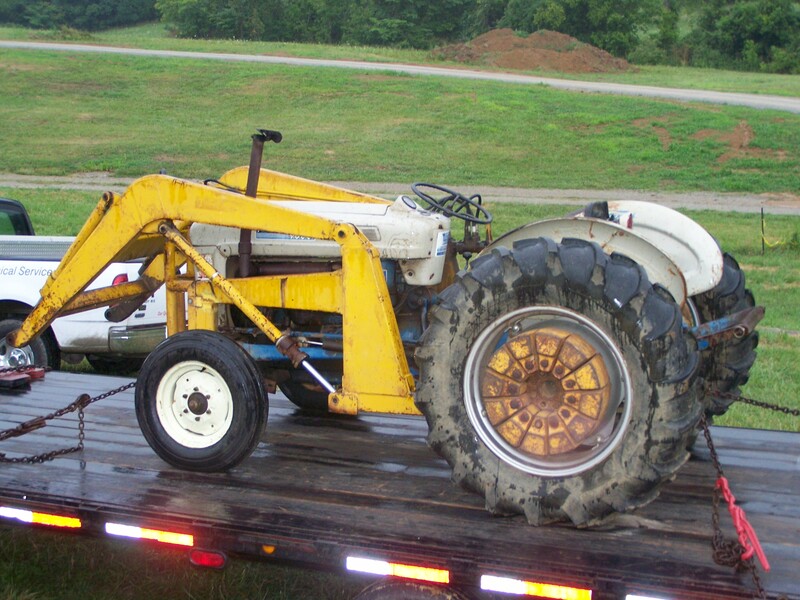 Here are the old friends tractors waiting for the pull. 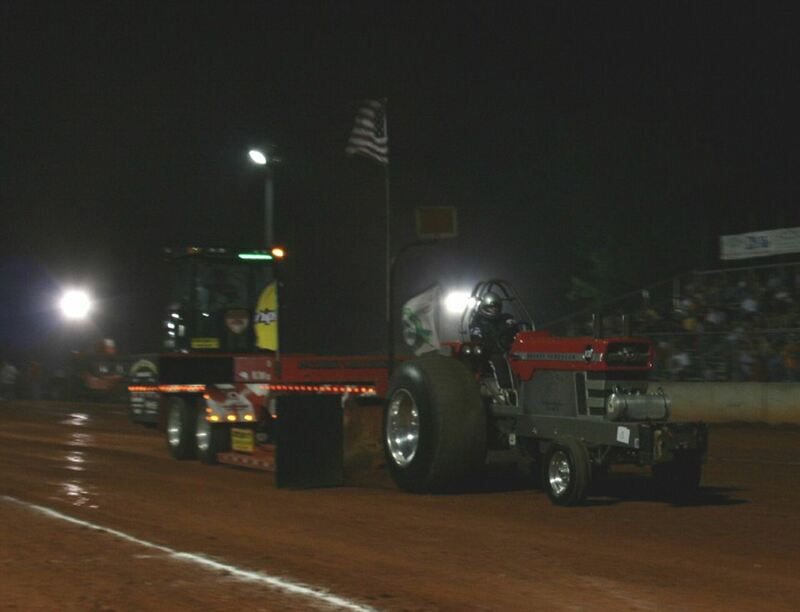 Unfortanetly, the pull was rained out. This is Andy waiting to weigh in @ Leitchfield, KY on September 1st 2007.